Seniors! Check out the website: collegegreenlight.com It has many college scholarships available. If you are still looking for money to help pay for your college expenses, check this site out. college education and a desire to contribute to society. The Coolidge Scholarship is an annually awarded, full-ride, presidential scholarship that covers a student’s tuition, room, board, and expenses for four years of undergraduate study. 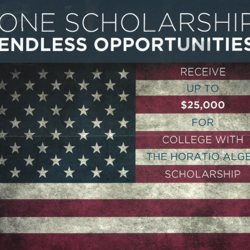 Scholarship opportunities available through the College Board; from $500.00 up to $40,000. Go to https://opportunity.collegeboard.org/ to start your profile, and access scholarships available through the College Board. Abbott & Fenner Business Consultants are pleased to be able to continue with our scholarship program for the 12th year. Senior scholarship opportunity: The Madhatters, Inc. organization gives up to three $500 scholarships to local high school graduates who are pursuing higher education in a field directly related to the arts. Stop in the office for an application. Must be postmarked by April 1st.